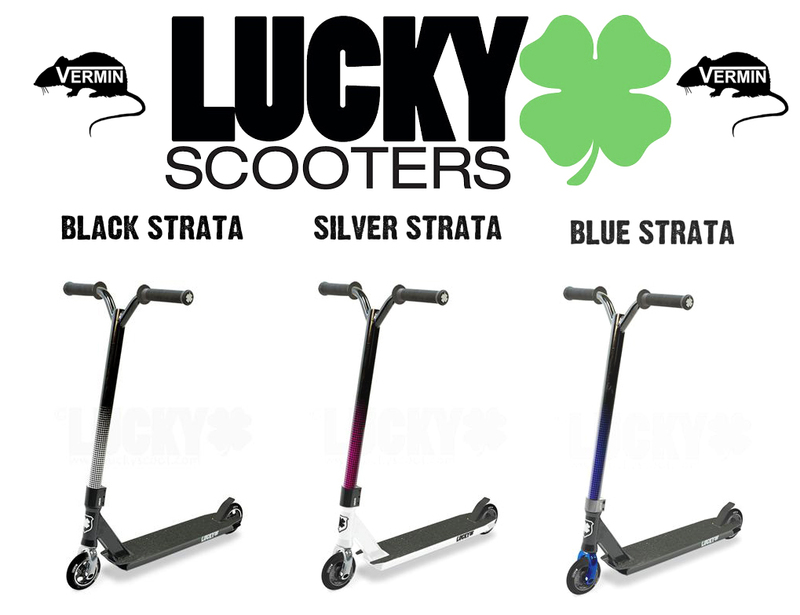 Vermin Scooter Shop: CUSTOM LUCKY COMPLETES - LIMITED TIME ONLY! 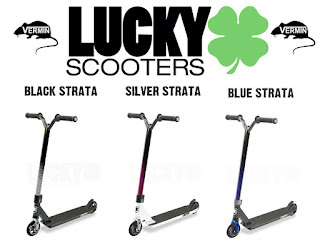 We have arranged for Lucky Scooters to build a limited number of Custom "Strata" Completes. They are essentially the same as the regular Strata but feature colour combinations that must be purchased through the custom shop at Lucky. To build one would retail for $380 from Lucky + Shipping and Duty. We have three models available - Black, Silver & Blue. Your price? $310.00! Note - these scooters will be shipped in a Lucky box if we have one, but otherwise may come in a different box.